If you are into the business of fashion like I am for African Fashion, you will know that yesterday an e-commerce website Farfetch raised $86 million dollars for their site with investors valuing the company at $1billion dollars. If you are like me, what, $1 billion dollars for fashion. Yes, it is possible, thanks in part to Farfetch’s curated fashion platform which connects consumers with carefully selected product from a large global network of independent boutiques. A similar African platform would be Kisua or L’espace in Nigeria (see below), two global communities made up of visionary African fashion designers with the platform (Kisua or L’espace) offering inspirational shopping experience for fashion-forward consumers in love with authentic African style. At the time of this writing (and if you know any please let me know), I cannot think of any African Fashion brand or platform worth over $100 million let alone $1 billion dollars. This is not to say that it’s not possible, my question today is what will it take for African Fashion to be worth $1 billion dollars? Would it be a united e-commerce store similar to Farfetch and made up of African boutiques/designers located everywhere? L’espace delivers all around the world and so does Kisua. Would it be the number of labels they showcase (in the 1000’s if you follow Farfetch’s footsteps); or dedication to supporting independent fashion and cultural diversity (not a problem for Kisua or L’espace). The images of the products they showcase over at Farfetch is not as clean and crisp like Net-a-porter for example, so pictures are not the answer. I want to believe that it is simply because they are an innovative e-commerce company working to bring the world’s best independent fashion boutiques to an international audience (again something that Kisua and L’espace are already doing). 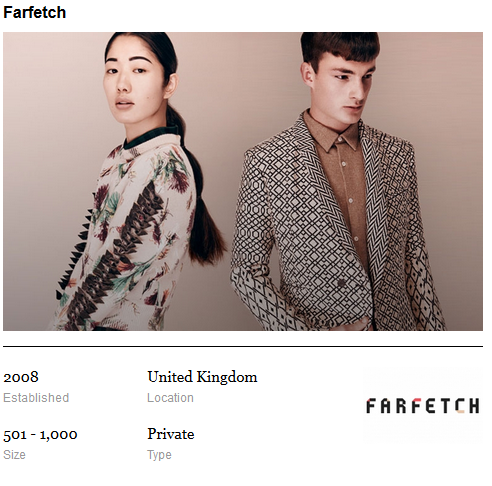 Nevertheless, if you look through their career’s page, they share a secret to their success and it’s “people.” The people that work at Farfetch are what drives their success. Maybe that’s just what it would take for African fashion to be worth $1 billion, a conglomeration of people whose sole desire is to see African fashion succeed. No competition, just people in love with African fashion supporting the good aspects of our fashion, while being critical of the bad, but supporting nonetheless and of course writing, not just posting images, but writing about all that there is to write about African Fashion. Only then can we be valued up to $1 billion dollars and more. This is the goal of isiomastyle’s style report. Images credit: Kisua, L’espace, Farfetch.